Today is the Feast day of Michael and all Angels. I love this image of St. Michael. The Bible tells us that God's creation is vast and richer than we can know in our simple minds. That alone is a humbling thought to me. There are beings that worship God in heaven, and are some sort of messengers between Heaven and Earth, they also seem to act as His agents here in this world. We don't know a lot about them (Angels) but Michael is mentioned as the leader of the Heavenly armies against the dragon. For a year after my younger brother (Michael) died, I wore a St. Michael medallion around my neck, and have since moved it to my rosary. Whenever I pray on my rosary it is a reminder that Michael and all the angels protect and defend us humans on earth from powers we can barely comprehend, much less do any thing about. Jesus says they rejoice over us sinners when we repent, and warns of misleading a child as the angel assigned to each of them beholds the Face of God. So along with Shakespeare I have learned to say, Angels and Ministers of Grace defend us! St. John is most often remembered today by his writings, including "Dark night of the soul" that I want to consider today. Juan de Ypres y Alvarez was born in 1542. 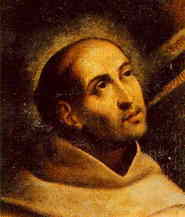 Juan was brought up in an orphanage and ordained in 1567 after joining the Carmelite Friars. 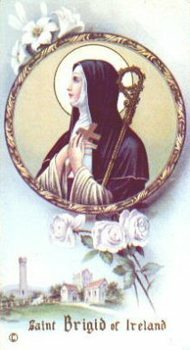 He later on became involved with Teresa of Avila, a Carmelite Nun and mystic. During his life he endured imprisonment at Toledo during a disagreement among the Carmelites and suffered terribly because of the ordeal. He was imprisoned for more than nine months in a narrow, stifling cell. There his love for Jesus grew in intensity. He eventually escaped and fled to another Monastery. He had written some poems at Toledo, and now he wrote them down, with commentaries to explain their spiritual significance. "The dark night of the soul" has entered our general conversation but do we ever think about it and consider it's meaning in our lives? Is there a time when suffering or extreme conditions in our life can bring us closer to God? There is a time when deep prayer can change us and transform our relationship to God. I can tell you that I have had a couple of these experiences, and I don't consider such a severe test of faith to be an entirely negative experience. What about my readers? In this season of Light overcoming Darkness, do you feel that suffering can bring you closer to God? Do you think the American Church gives us space to engage the suffering side of our journey in faith? O God, by Whose grace Your servant John of the Cross, kindled with the flame of Your love, became a burning and a shining light in Your Church: Grant that we also may be aflame with the spirit of love and discipline, and walk before You as children of light; through Jesus Christ our Lord, Who lives and reigns with You, in the unity of the Holy Spirit, one God, now and for ever. Amen. So, here I am. Beginning yet another journey. A blog... Well, some of my friends have encouraged me to get one, and as time as progressed, I have decided to listen to them. First of all, I am not yet a Friar, that is a goal that will take me several more years. Should I be deemed worthy, then I will be a Gregorian Friar - working out my Salvation in the world with all the many various types of followers of Jesus that there may be. I tend to be opinionated, verbose, and ready to pontificate on any subject regardless of my ignorance of the matter at hand. I suspect forgiveness needs to be asked ahead of time. ;) My friends will also readily tell you that I am extremely mischievous, and the twinkle in my eye often signals some nefarious scheme only just begun. I am Episcopal, very well versed in the Bible, and have many different viewpoints than are common in wasteland that is called the Church in Tulsa, OK. Often this leads me to conflict with religious authorities, however rarely with followers of Jesus. I am very fortunate to have a great, growing and living Parish community, and recently have made some wonderful new friends involved in the Emerging Church. I am looking forward to this (Blog) part of my journey to Illumination, and am interested in any postings or questions. Divinum auxílium † maneat semper nobiscum.